Dr. Jay W. Henry, O.D., M.S. Dr. Jay W. Henry was voted the best Optometrist in Central Ohio in both 2015 and 2016! Dr. Henry was also recently honored by The Ohio State University College of Optometry as a Notable Alumni an award given to a very select and limited number of outstanding Optometrists. You can read about Dr. Henry's notable honor and achievements here. Dr. Jay W. Henry graduated from The Ohio State University College of Optometry in 1998, where he received his Master of Science in Physiological Optics and Doctor of Optometry Degrees. His training included rotations at the Cleveland Veterans Administration Hospital System and The Ohio State Student Health Center. 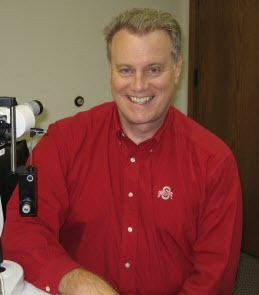 Dr. Henry continues to serve as a faculty member at The Ohio State University College of Optometry. He maintains a special interest in working with infants, children's vision, and how vision affects learning. Dr. Henry also specializes in fitting contact lenses especially for the hard to fit patient. We are very fortunate to have Dr. Henry in Pickerington. He is a nationally recognized speaker, educator, author, and management consultant. Dr. Henry is nationally known for his experience in technology used in eye care, Electronic Health Records, e-prescribing, practice management and ocular disease. He is recognized for both his expertise and his enthusiasm for helping professionals optimize their practices. Dr. Henry is widely published in professional journals, books, clinical references, and web-based resources. He was the first optometrist in the nation to use optometric software for e-prescribing a medication. Dr. Henry is an active member of the American Optometric Association and has served in the Reynoldsburg-Pickerington Rotary Club. He is also very involved in the Ohio Optometric Association where at the state level he has chaired the membership and mentorship committee. Locally, he has been an elected trustee and secretary for the Central Ohio Optometric Association. Dr. Henry resides in Pickerington and when not at work, he enjoys spending time outdoors, playing soccer, and most of all spending time with his wife Dr. Julie Henry, who also practices Optometry, and their two children Jacob and Jillian He takes great pleasure in coaching their sports teams and being involved with them at their Pickerington schools. Dr. Bridget T. Hermann, O.D. Dr. Bridget Hermann earned her Doctor of Optometry degree from The Ohio State University College of Optometry in 2004. Her externship training included a rewarding rotation at the Whiteriver Indian Health Service Hospital on the White Mountain Apache Reservation in Arizona. Upon graduation, Dr. Hermann completed an optometry residency in primary eye care and ocular disease management at the VA Healthcare System in Boston, Massachusetts. She also participated in several rotations in specialty disease clinics as part of this valuable experience. Dr. Hermann is a member of the American Optometric Association as well as the Ohio Optometric Association. She is a graduate of Pickerington High School and received a Bachelor of Science degree at Ohio University. Dr. Hermann is enthusiastic about working at the practice. Dr. Morgan Marshall Murphy, O.D. 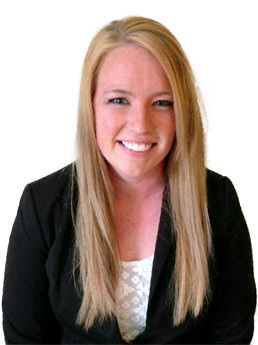 Hermann & Henry Eyecare is very proud and excited to introduce our newest associate optometrist (and Pickerington native! ), Dr. Morgan Marshall Murphy. Dr. Murphy grew up in Pickerington and graduated from Pickerington Central High School, where she participated in National Honor Society and Varsity Soccer. Dr. Murphy received her Bachelor’s degree and Doctor of Optometry degree from The Ohio State University, where she completed rewarding externships in a LASIK and cataract surgery center, specialty contact lens fitting clinic, and the Veteran’s hospital in Hampton, Virginia. Dr. Murphy also completed a 1 year additional residency training in Ocular Disease at the Columbus and Chillicothe VA Hospitals, where she learned the most advanced techniques in identifying and treating ocular pathology while serving our nation’s veterans. In her free time, she enjoys visiting with friends and family, being outdoors, and golfing with her husband, Mike. 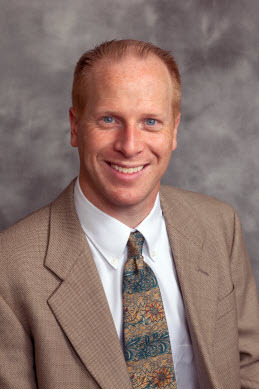 Dr. Murphy is very excited to return to Pickerington and provide excellent care to our patients and community! Dr. James M. Hermann started his optometric practice in Pickerington in 1974, immediately after receiving his Doctor of Optometry degree from The Ohio State University College of Optometry. He was Pickerington’s first optometrist. He is a member of the American Optometric Association, the Central Ohio Optometric Association, and the Pickerington Lions Club. He and his wife, Diane Hecox Hermann, have been married since 1972 and have two grown children, Andy and Bridget.